In the afternoon city tour of Cochin to visit Dutch Palace (Built by the Portuguese), Jew Town, the 1568 Jewish Synagogue, spice market, where the air is filled with the pungent smell of spices, St. Francis' Church and Chinese fishing nets. The evening holds a show of Kerala's most popular classical dance. Overnight stay at hotel. After breakfast drive to Munnar (4� hours), the beautiful hill station of Kerala. Transfer to hotel on arrival. Spend the remaining day at leisure and enjoy picturesque landscapes. Visit the aromatic tea plantations or indulge in thrilling sport activities like paragliding. Evening transfer to hotel. Overnight at hotel. After breakfast full day sightseeing in and around Munnar. 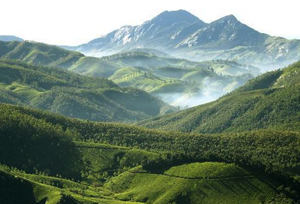 Enjoy panoramic views of Anamudi, the highest peak of South India at 2695 m, is visible from Munnar. Visit the Christ Church and proceed for wildlife watching at Eravikulam National Park (16 km). (Note: Park would be close from 01 Jan to 28 Feb every year) Continue to Rajamalai Hills lying adjacent to the park and stop by at Madupetty Dam, a famous picnic spot for boating and horse riding en route to Top Station. Evening transfer to hotel. Overnight at hotel. After breakfast leave for Kumarakom (3� hours) on day 5 of Kerala Tour Itinerary. Check in at backwater resort on arrival. 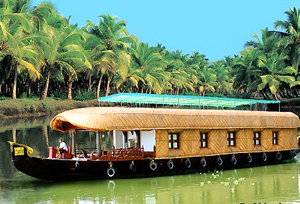 Spend the rest of the day at leisure at the picturesque backwaters that form one of the major attractions of Kerala. Overnight at hotel. After breakfast transfer to Kottayam and board the luxurious houseboat for an overnight journey along the tranquil Kerala backwaters to Alleppey. After breakfast full day free to explore the beaches. Overnight stay at hotel. Morning transfer to the airport to board the flight for onward destination.